A World War II novel based on the American military nurses serving in the Philippines. Follow Margie whose life changes forever when she is captured and held prisoner of war by enemy forces. January of 1941, Margie Bauer is called to active duty in the Army Nurse Corps of the United States Army Reserves. She delights in her assignment to Manila—the Pearl of the Orient. She falls in love with the beauty of the island and a carefree social whirl of bridge games, pool parties, and dancing under twinkle-light stars with handsome young doctors. Though rumors of war circulate, she feels safe—the island is fortified, the airbases are ample, and the Filipino troops are training intensively. December 8, 1941, her dream world shatters. Japanese bombers roar into the Philippines, turning everything in their paths to smoldering piles of rubble. 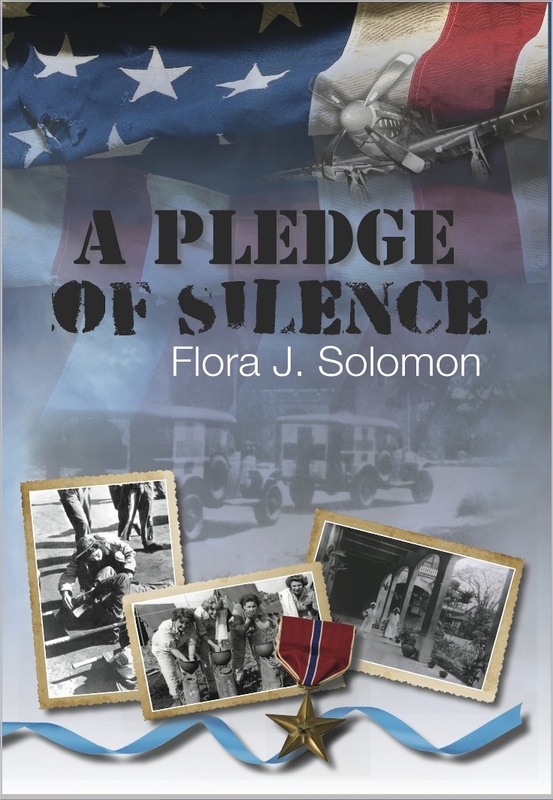 “A Pledge of Silence” by Flora J. Solomon is based on true stories although it focuses on a fictional character, war nurse Margie and her remarkable story. Pre-war romance in the 1930s, a broken heart and patriotism land Margie in the Philippines in the fight against the Japanese. It is an amazing story of war time survival, personal resolve and bravery; is the personal story of one woman and her private life affected so deeply by the war and its many atrocities. The book provides a lot of interesting and well documented historical facts that in themselves would make a page turner, but Solomon has created excellent characters to live through the hell and illustrate on more levels what these people were going through and why they made the choices they did. I am amazed that after all these years and all the books published on WWII there are still more new stories and dramas to be told and new information to be digested. A gripping book from start to finish. in that order. My book, A Pledge of Silence, is the culmination of a belief in continuing education, my years’ work experience in the healthcare field, and a love for history and research. What made you decide to be a writer? Have you always written? I had a husband and 3 young children before I discovered how much fun writing can be. In order to escape the drudge of drool and diapers, I enrolled in a creative writing class at the near-by junior college. I discovered I could make people laugh, which was a delightful surprise, because I’m rather reserved. The seed lay dormant for decades before I had the time to develop it. My readers laugh … and cry. Your book, A Pledge of Silence, is a World War II novel based on American military nurses who served in the Philippines. What was your fascination with that particular story? I grew up in the post-World War II years. My grandfather, grandmother and mother were nurses though they never served in the military. However, my many uncles did serve on battleships and overseas. Artifacts of the war—steel helmets, scratchy army blankets, German buttons, military patches and foreign coins—were common to me. My friends and I dug foxholes and played War complete with an arsenal of cap guns, jack knives, and hand grenades (empty soup cans.) We all knew whose uncle hadn’t returned from the war, whose father was having a problem with alcohol, and which families had broken from the strain of battle fatigue—the yet unrecognized post-traumatic stress disorder. When I ran across the story of the World War II nurses interned by the Japanese in Manila, I felt comfortable with the setting and fascinated by it. Eager to learn more, I began researching the history. How difficult was it to draw the balance between research and invention/ imagination? Not difficult at all. I dropped my fictional characters into an already created and very dramatic setting and let them react to it. On one hand, writing historical fiction is easier, because the structure of the story is provided. On the other hand, in order to do it right, the author must be meticulous in his/her research. Which character / story did you most enjoy writing? My protagonist, Margie, flew onto the page. Gracie, her friend, developed overtime in ways I had not planned. 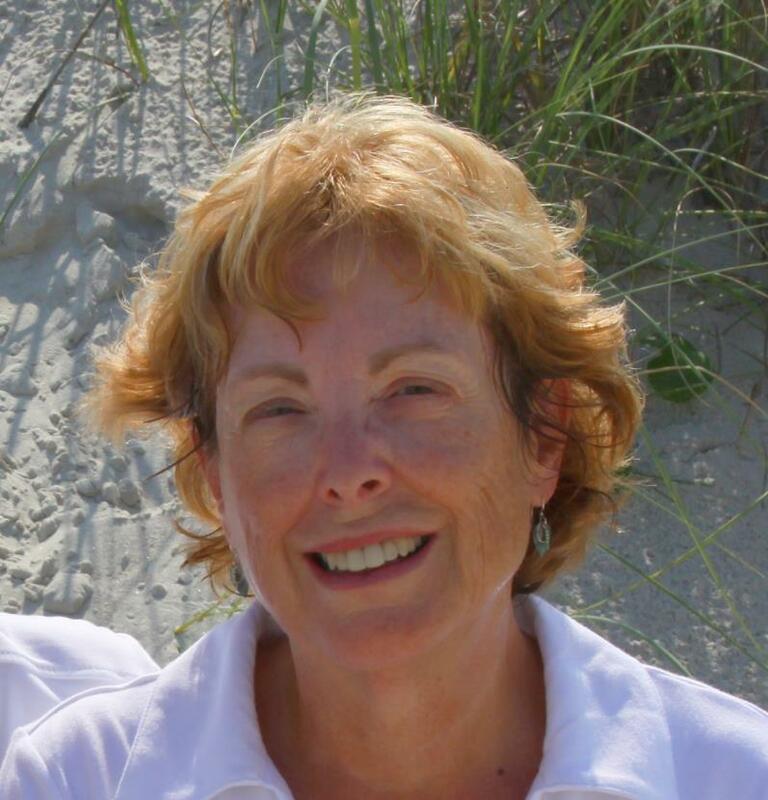 Barbara, Margie’s daughter, played a larger part in an earlier version. She was so difficult to write, I wrote her out by starting the revised version with her funeral. I live in a golf community on the North Carolina coast. Close by are golf courses, tennis courts, swimming pools and, of course, the beautiful North Carolina beaches. The availability of physical and social activity nicely balances my proclivity to be a writer-recluse. How long did this book take you to write? The book took me eight years to write, because I had to learn how to write fiction and dialogue. I attended workshops and conferences, read “How-to” books, and studied the writing of other authors. I found I was a good mimic, easily adopting other author’s styles. I wrote, re-wrote, and re-wrote, again, until my own voice emerged. Additionally, I researched everything. What did you find most challenging? What do you like least about writing? That’s an easy question. I will never understand the nuances of grammar or the capriciousness of punctuation. Thank goodness for editors. I hired both content and copy editors along the way and learned immensely from them. How do you handle criticism? I encourage it. I gave a copy of my manuscript to anyone who was willing to read it and asked them to tell me what they didn’t like. Many were reluctant to be blunt, but I appreciated those who were. Did you have any say in your cover art? What do you think of it? Tell us about the artist. Funny, I can transfer words from my head to the page, but not pictures. I hired a graphic designer and we worked together. We started with the World War II ambulances driving into the fog – I liked the eerie feeling of it. What were your highs and lows? An agent accepted an earlier version of my book and shopped it around. That to me was a validation of my work and a real high. Unfortunately, she couldn’t find a publisher willing to take it. A year later when I had completed a revision, I decided not to go with that painfully slow process and published it myself on CreateSpace and Kindle. How have you found the experience of self-publishing? Hurrah! for self-publishing. Not only does it offer opportunities never before available, but it is extremely rewarding to carry a project from its inception to fruition. My favorite books/authors change over time. So often I’ll love an author’s carefully crafted first book then be disappointed in their hurried second book or bloated later books. My favorite relatively current books are People of the Book by Geraldine Brooks, and Water for Elephants by Sara Gruen. What book are you currently reading and in what format (e-book/paperback/hardcover)? I’m researching the life of a swashbuckling World War II journalist turned spy. A Pledge of Silence is available as both a paperback and e-book.